Apple is recalling a swathe of its Time Capsule backup devices sold between February and June 2008 for repair or replacement following reports that the devices go belly-up after around eighteen months of use. According to TUAW, the recall - detailed in full on Apple's Knowledge Base - covers devices with serial numbers in the range XX807XXXXXX - XX814XXXXXX, sold world-wide between February and June 2008. The affected units suffer an issue after around eighteen months of problem-free use where the device either shuts down unexpectedly - a pretty serious issue in an always-on device that you trust with your precious backups - or, more worryingly, switch off and never come back on. If you've a Time Capsule in the affected batch, Apple recommends getting in touch with an Authorised Service Provider, an Apple Contact Centre, or if you're within shouting distance of an Apple Store making an appointment with the Genius Bar. 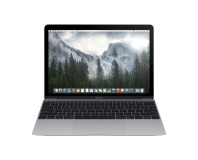 If the worst-case scenario has happened - your Time Capsule has snuffed it at the same time as your Mac, and you need access to the backups you've been making - Apple promises that "an Apple Retail Store or an Apple Authorized Service Provider (AASP) can transfer your data from the affected Time Capsule to a replacement Time Capsule." As the recall is a recent development in the wont-turn-on saga, Apple confesses that some customers may have been required to pay for repairs which would now be covered under the recall - and promises to refund those affected. Are you surprised to see an Apple product with such a major malfunction, or has the Time Capsule always seemed a little shonky? Share your thoughts over in the forums. 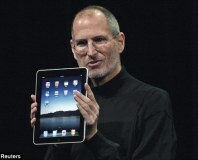 Multiple sources confirm iPad 2 launch date, despite rumoured production problems. 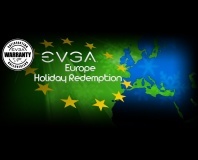 EVGA is calling on those who failed to register their graphics card warranties to do so now.